Standardize contract practices and equip staff with a 360-degree view of all contract-related information. 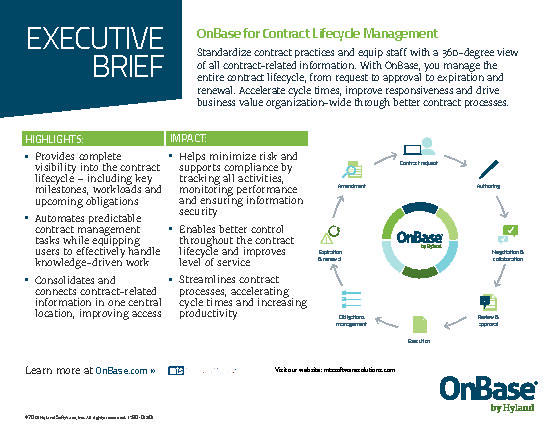 With OnBase, you manage the entire contract lifecycle, from request to approval to expiration and renewal. Accelerate cycle times, improve responsiveness and drive business value organization-wide through better contract processes.